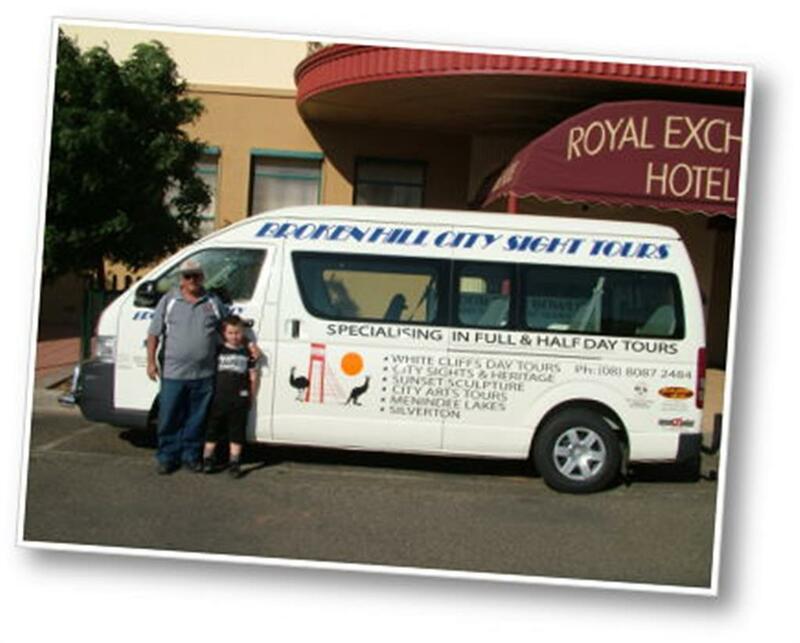 Broken Hill City Sights Tours provide tours to suit all ages in Broken Hill and the surrounding regions. Half Days, Full Days and Sunset Tours. Come on in, browse around and select your destination from our extensive range of breathtaking scenic tours in and around Broken Hill. Cancellations made within 7 days of booking arrival date incur a 100% cancellation fee. Cancellations made with more than 7 days notice incur an administration fee of 50% of the total booking fee. Please note that all tours run with minimum numbers. The operator reserves the right to alter departure dates/times if minimum numbers are not met. No smoking, eating or alcohol is to be consumed in vehicle. Please observe the requests of the guide for your own personal safety. For sinlge bookings please contact us directly to see suitable availability.